First stop on this day trip is a visit to the ‘Ojos de Caburga’ (Caburga’s Eyes), east of Pucón: naturally formed round water basins that are fed by waterfalls from the Rio Caburga, which comes from the lake of the same name. 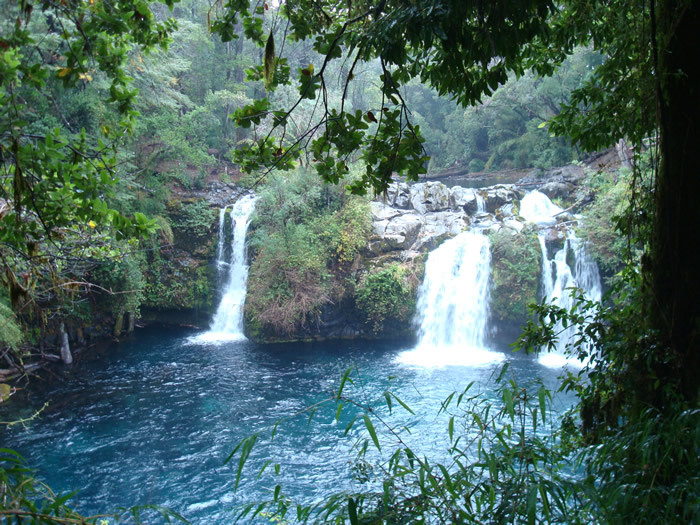 Their wonderfully deep blue waters create a beautiful contrast to the green forest all around. 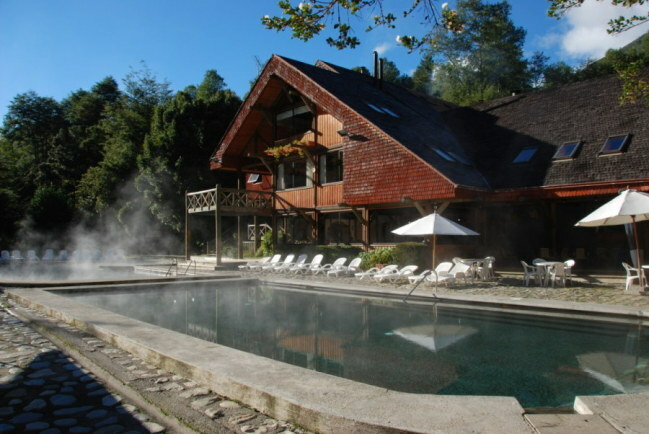 Afterwards, the journey continues through a landscape defined by volcanoes, following the Rio Liucura as far as the Termas de Huife hotel. Three large pools with temperatures ranging from 38ºC/100ºF to 58ºC/136ºF invite visitors to relax, and there are also massage treatments and a sauna available to perfect the range of spa facilities on offer. Transfer back to thehotel after visiting the thermal pools.